Our AGM will provide an opportunity to learn about GVGS and what we have accomplished over the past year. There will a chance to meet the board and mingle with fellow members and supporters. Members in good standing can participate in the election of the board of directors. Ann Nightingale past president of the Rocky Point Bird Observatory an avid birder and naturalist for over 20 years will share her enthusiasm and insights about our fine feathered friends. Doors open at 1:00 pm, and the meeting and presentations run from 2:00-4:00 pm. The event will be followed with light snacks, and refreshments, and a chance to become a member. ​Parking is available along Millstream Rd. People with mobility issues will have access to the main driveway for parking by the house. 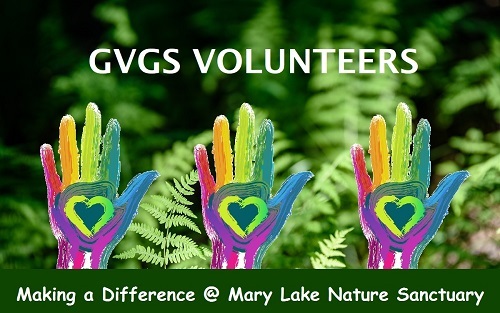 April 14 is the deadline for membership expiry for Guardians of Mary Lake who have not purchased a GVGS membership this year. Front of the Line invites to events and special discounts. Our bi-monthly newsletter to keep you updated about our conservation efforts and program development. Surrounded by the sensual ambiance of the forest, we can sink into a deep calm space, that opens us to the physical, emotional and mental nurturing energy nature provides. 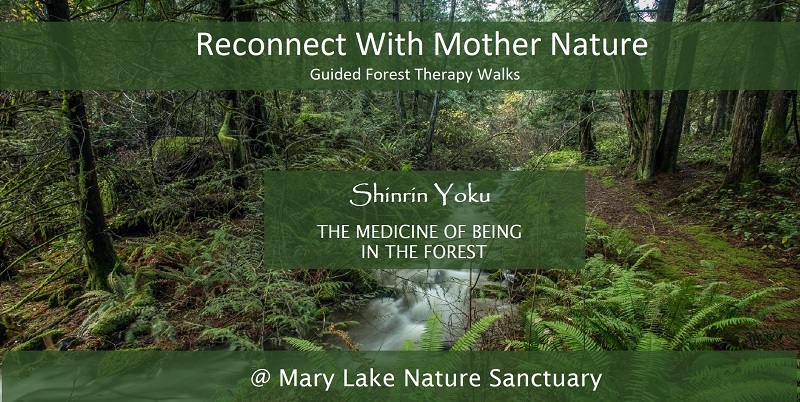 I invite you to join us for a new and expanding way to enjoy the forest as a group. It is slow…it is mindful…it is healing…and it can expand your heart, your creativity and your relationships. The world will be a better place when everyone is connected to nature! The Association of Nature & Forest Therapy lists myriad benefits including reduced blood pressure, increased energy, and increased ability to focus. Article: What the Heck is Forest Bathing? Meet the amazing Victoria Green Team who will be joining us. Wildlife is an inherent part of a natural ecosystem. The presence of some species of wildlife simply adds to visitor enjoyment. More significant, though, is improving conditions for scarce, threatened wildlife. Generally, these are referred to as “species at risk”. This is a big focus for the Sanctuary. We have already identified six species at risk on the property: the Garry oak – arbutus ecosystem, the great blue heron, the olive-sided flycatcher, the formerly-common barn swallow and, this spring, the red-legged frog. 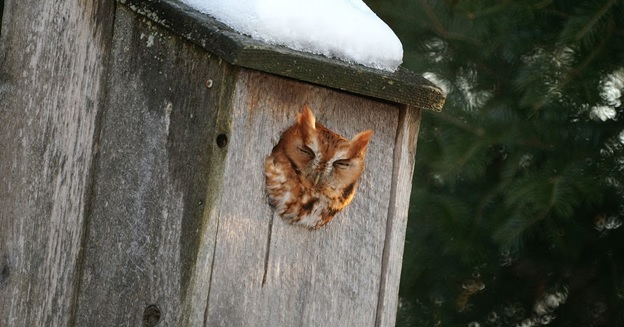 Now we have put up six nest boxes to attract western screech owls. These small owls rely on woodpecker-made cavities in old snags, structures that are rare in the still-young forests of the Highlands. Many years ago, the American Bullfrog (Rana catesbeiana) was introduced by farmers on Vancouver Island. 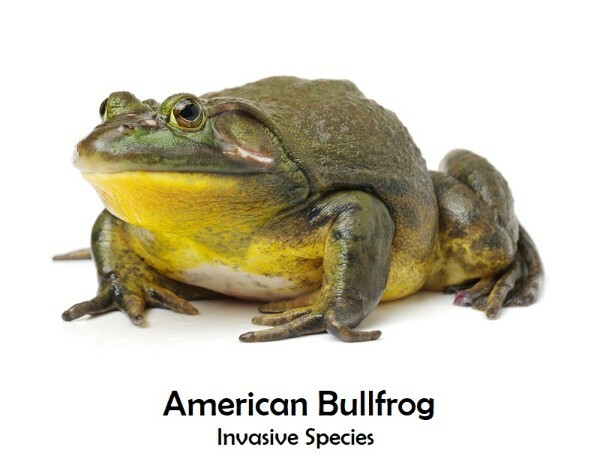 Nowadays the American Bullfrog is known as one of the 100 most invasive species in the world and it is a major concern at and around Mary Lake as well as on many wetlands in Southern Vancouver Island. The high number of invasive Bullfrogs are potentially affecting native species at Mary Lake because of feeding on them (esp. other native frogs). Additionally, a fungus (Batrachochytrium dendrobatidis) on the frog’s skin is potentially deadly for amphibian populations, like the Red Legged Frog which is domestic around Mary Lake. Mary Lake as an example for best practice Bullfrog Management creates new possibilities for partnerships, education events, and workshops. Neville Grigg of the Highlands Stewardship Foundation (HSF) has lots of experience in the effective Management of Bullfrogs and several science articles describe his passionate work. He started many years ago on his own property and over time he developed an efficient strategy to manage Bullfrog populations. Neville is willing to help us develop a Bullfrog Management Plan for Mary Lake that can be used in other locations in the region. 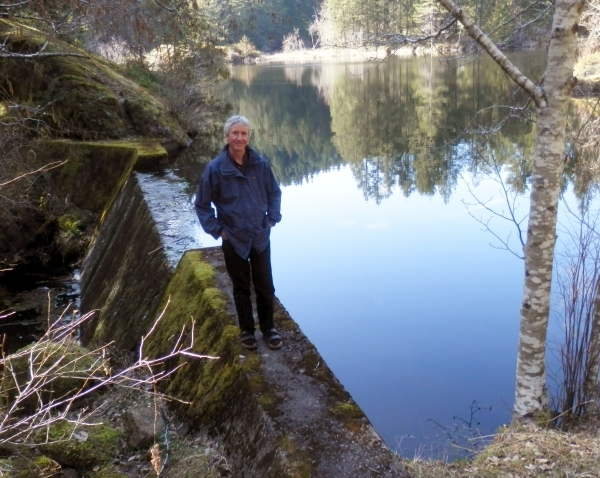 Dr Rick Nordin has been instrumental in initiating Community Lake Stewardship in BC and was a founding member of the BC Lake Stewardship Society (BCLSS). Rick is among the most informed limnologists (freshwater lake expert) in the province and he was the “go to man” when we initiated lake stewardship in the Highlands in 1996. Eric Bonham (GVGS Board Adviser) got to know him when they both worked for the then Provincial Ministry of Environment, and on his retirement, Rick then taught at UVIC. 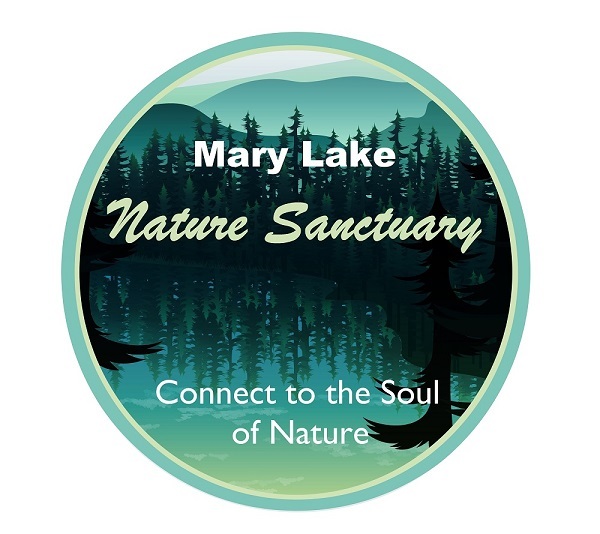 Regarding Mary Lake, setting up a lake stewardship program would fit well with the vision for the Mary Lake Nature Sanctuary from both an educational and protection of the lake aspect. Rick suggested the following research to assess the lake health. 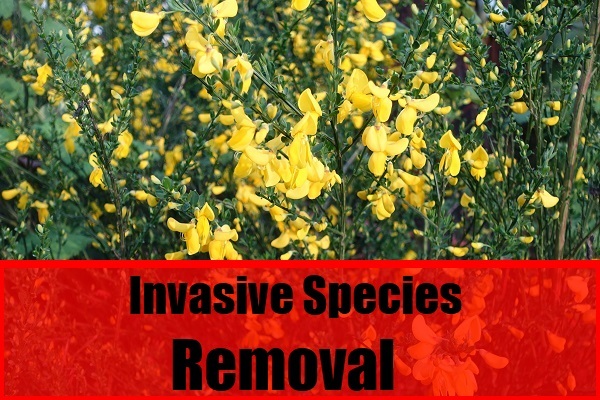 Establish an invasive species list including aquatic plants and bullfrog impact. More detailed water quality analysis can be done including water chemistry. GVGS has been invited by the B.Sc. in Environmental Science Program at Royal Roads University to submit a proposal for a Major Project Partnership. These projects are carried out for one day per week from January through August of each year by teams of 4 or 5 students. The Lake Stewardship research will be proposed for this partnership.